How many of us have some unwanted garden helpers? 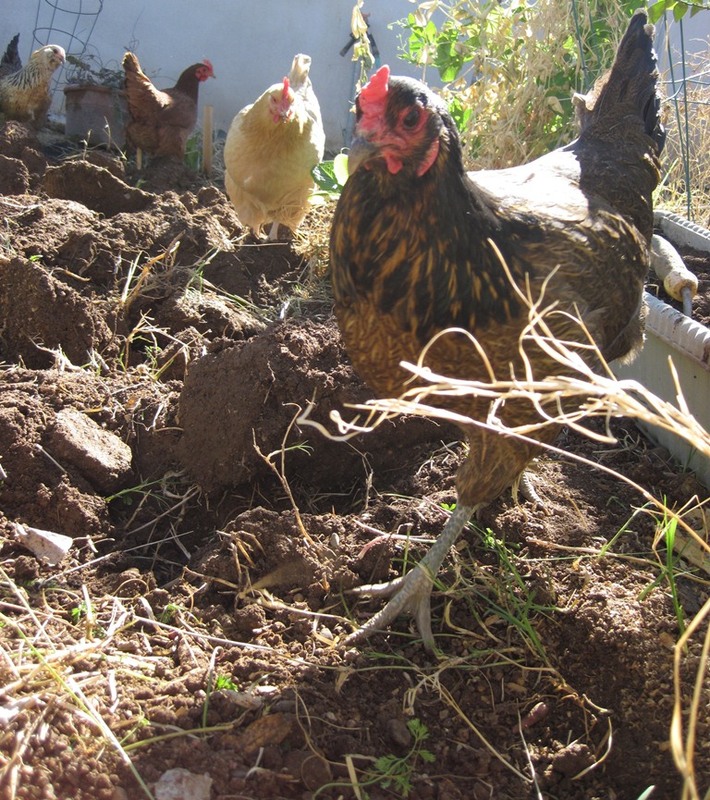 I may have a few chicken garden helpers here and there. Likely story, Nugget. No one is buying it. 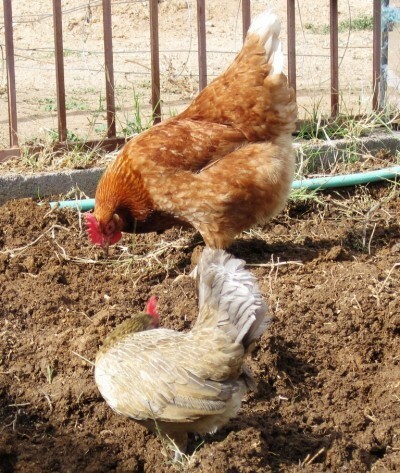 I could put in a higher fence, as even my fattest hens can easily scale my low, 4-foot fence when the motivation is free reign of the garden… but if I did, then my feathery garden helpers wouldn’t have the opportunity to tear up my newly planted vegetables or eat all the tomatoes and squash, right? Most of the time, I don’t mind the hens in my garden. They keep the bugs down, go after squash bugs like crazy, slurp down slugs, and will sometimes even discourage ants! Other times I really wish I had put in that taller fence. 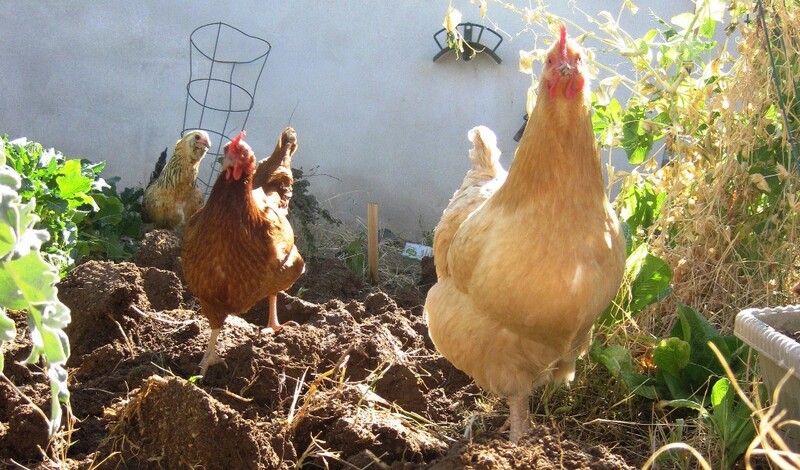 I’ve tried a number of different quick-fix approaches to keep the hens from destroying the garden. Temporary fencing, “raised” beds with a hardware-cloth cover over the carrot patch, dollar-store trash cans and laundry baskets over new plants. But normally, to prevent my garden helpers from tearing up newly planted sprouts, or scratching up my freshly-sown seeds, I usually have to keep the hens in their run for at least three weeks. Clearly, I haven’t had much luck, as these ladies do what they want. However, once the garden takes off, I am always grateful for their help. There ARE actually some good strategies to successfully combine chickens and gardening—even a great tip for keeping your chickens from scattering your mulch!—but somehow I just find myself in the eternal struggle. 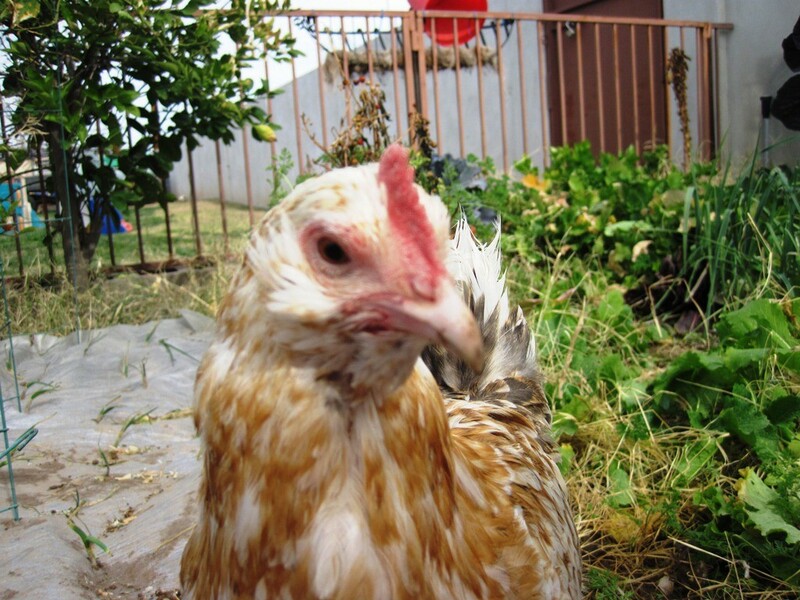 What do you do to keep your hens out of your gardens and landscaping? you’re right, You are in the eternal condition of lifecycle.